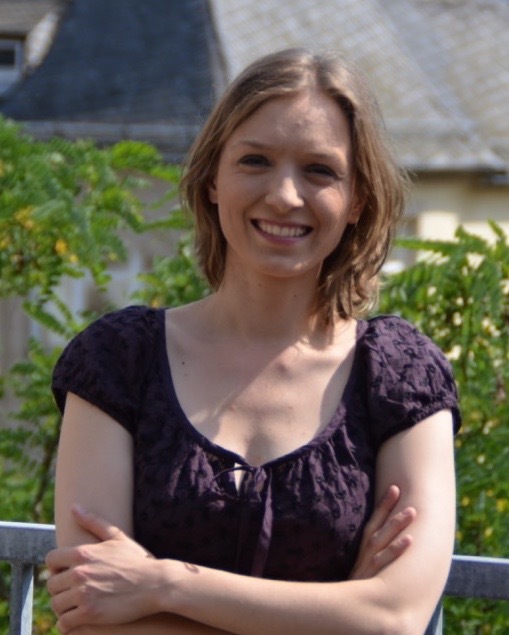 Lisa Herzog is a postdoc at the Cluster “Normative Order” and the Institut für Sozialforschung, Goethe University, Frankfurt. She has published Inventing the Market. Smith, Hegel, and Political Theory (Oxford University Press 2013) and edited Hegel’s Thought in Europe. Currents, Crosscurrents, Undercurrents (Palgrave, 2013). She works on questions of economic justice, writing both in German and English. Her current focus is on ethics in finance and ethics in organizations. Thanks, Meena, for maintaining this blog and for inviting me to be part of it. In an age of fragmented knowledge, it is a wonderful place for exchanging ideas and building solidarity – this is a topic to which I’ll come back below. I’m an economist and philosopher by training, and I’ve spent the first years of my academic career exploring questions about economic justice and markets. While doing so, I realized that many moral ills that are imputed to markets have to do at least as much with the fact that in markets, but also in many parts of the public sphere, individuals act not as private citizens, but as members of large organizations – as the infamous “cog in the wheel”. Philosophers have long neglected questions about organizations, probably because they fall in between moral and political philosophy. But there are many fascinating and important questions to be asked about moral agency in organizations: for example, what should one do if organizational rules do injustice to individual cases? What responsibility for the organizational culture do individuals have, and how does it matter for morality? How can individuals make a positive difference in preventing organizational evil, as “transformational agents” who insist on basic moral norms in contexts in which organizational imperatives threaten to override them? The book project in which I address these and other questions is provisionally entitled “Reclaiming the systems. Moral agency in organizations”, and it attempts to analyze various mechanisms that turn groups of human beings who work together into “systems” that seem to follow a logic of their own, lacking any responsiveness to moral questions. Habermas famously warned against the “colonization of the lifeworld by the system”, and in a sense, I ask what it would take to re-colonialize the system, by reinserting basic moral standards from the lifeworld into it. When I started working on this project, I read a lot of social psychology and organizational theory. But this literature did not quite give me what I wanted: a real understanding, from the inside, of what it means to work in an organization. So I started doing a series of qualitative interviews with practitioners. Many of them turned into long and deep conversations: about the moral questions my interviewees encountered in their job, about power and powerlessness, about the joys of work and structural inequities. In my book, I draw on some of these stories to illustrate the various dimensions of organizational life that I discuss. Let me give you an example. Several of my interviewees told me about cases in which they faced moral questions that had to do with the distribution of knowledge in organizations. Should they reveal a piece of information although it might hurt them to do so? Did they have a duty to go the extra mile if a colleague was sloppy in handling information, but something morally important – for example the successful treatment of a patient in a hospital – was at stake? I started to systematically analyze the ways in which knowledge is handled in organizations, and the moral questions it raises. Organizations are spaces of divided labor, which means that gaps in the transmission of knowledge can have grave moral consequences. But their structures militate against the disinterestedness and open-mindedness that we need in order to process knowledge well: they are marred by conflicts of interests that invite secrecy, and by hierarchical power structures that distort the transmission of knowledge: “the boss only gets the good news”. The imperative to prevent morally relevant knowledge gaps mostly holds for those who are in positions of power: they need to make sure that everyone can speak up and is heard, no matter where they stand in the hierarchy. These issues relate to the topic of epistemic injustices that Miranda Fricker has recently analyzed. It can be deeply insulting for individuals not to be taken seriously as bearers of knowledge. In organizations, one can often find epistemic discriminations along lines of gender or race, as Fricker has described them. But in addition, the very structures of organizations create new forms of epistemic inequality, at least in society that lack perfectly just background structures: some people have the power to refuse to listen to others or to believe them, whereas others have to remain silent. One interviewee, let’s call him Henry, told me how upset he was when his boss asked him to analyze the technical feasibility of a new production process. Time was scarce, so he volunteered to do it overnight. He reported back to his boss the next morning, explaining that the process would not work. His boss, however, did not believe him, without any good reason: he wanted the process to work, and he suspected Henry of exaggerating the problems in order not to have to take on a new project. Henry felt deeply insulted; so much that he still remembered that conversation years later! But his boss did not do himself a favor either: with insufficient knowledge about the technical details, he ran the risk of making wrong decisions. Henry and his boss depended on one another for making the right decision, and both probably also depended on many other individuals in the organization who could contribute other pieces of information to the decision-making process. Thus, what is at stake is, in a sense, the very question of what it means to be a moral agent when we “act” in contexts in which we only have fragmented knowledge. Individuals and organizations need to cooperate to overcome this problem. They have to put in place structures in which knowledge gaps are prevented. But formal structures are likely to be insufficient: controllers can be bought off, IT systems can be manipulated, and books can be cooked – as I gathered from the stories some interviewees told me, human creativity is without limits when it comes to these things. If what is at stake is your own job, it can be quite tempting to use such strategies, failing to take into account the wider repercussions they might have. Therefore, organizations also need to build an atmosphere of trust in which relevant knowledge – and especially morally relevant knowledge – can be shared and the dignity of individuals as bearers of knowledge is honored. Various pieces of empirical evidence suggest that a good “epistemic culture” is very much a question of reciprocity: if individuals are treated with fairness and respect, and relevant information is shared with them, they are in turn willing to share knowledge with others. Disrespect or unfairness, in contrast, lead to distrust, and probably also to self-reinforcing processes of decline with regard to the epistemic culture of an organization. Arguably, the problems of knowledge I analyzed in the context of organizations are not limited to them. We live in a world in which huge amounts of knowledge are available, but they are fragmented, and often they are intertwined with economic and political interests. The danger of falling into epistemic “silos”, communicating only with those who share the same premises, is real. But we cannot solve the social problems that mar our societies if we stop talking to another, in open, honest conversations across disciplinary, professional, and class-based boundaries. We need an ethos of knowledge that resists corruption by narrow-minded interests and that acknowledges the limitations of each particular perspective. And we need forums for open-minded dialogue, across the various lines that divide us. I sometimes have the hope that philosophy could, among other things, be such a forum. The changes in recent years – towards more diversity, towards more interdisciplinarity, towards real-life questions – have certainly brought it closer to that ideal. Blogs like philosop-her help to spread the word about the fascinating research people do, and build an awareness of the contribution philosophy, at its best, can make. This awareness can be the basis for solidarity in the fight not only against our own pessimism and anxieties (which I know all too well), but also against apathy, ignorance, and injustice. So let me close by thanking Meena again for making this possible!